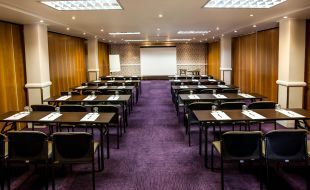 From small business meeting to big seminars, whatever the occasion Golden Horse Conference Centre has the perfect facilities to assist you in hosting your conference. From food, décor, equipment and any special needs you may have, our experienced team will help you organise a flawless event in Pietermaritzburg. For bookings please call +27 33 395 8313 / 8056 or email sanele.luvuno@tsogosun.com.